The Buhrs CS400 sidestreet is equiped with three rotary feeders and two friction feeders. 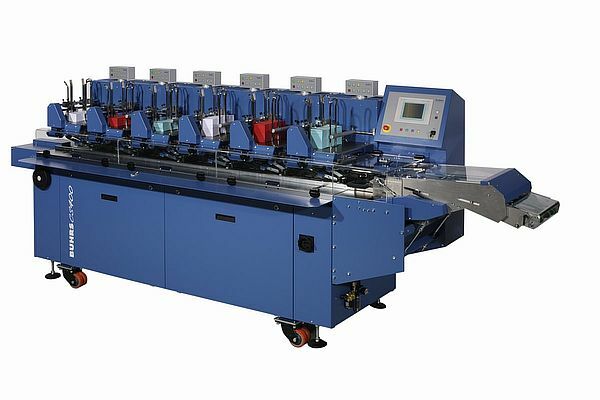 The CS400 can be connected and or integrated at any Buhrs 4000 and many Buhrs Ultimail filmwrappingsystems. The Buhrs CS400 can gather up to 5 different products and deliver those at only one feeder position at your Buhrs 4000 or Ultimail filmwrappingsystem. So with this sidestreet you increase the number of maximum products with 4 till 5 products in total. The side CS400 sidestreet can also be used as a stand-alone gathering system either it can be conected to many other systems. Please contact us for more information.